Following price losses suffered by most blue chip companies, transactions on the trading floor of the Nigerian Stock Exchange (NSE) yesterday reopened on a downward note, as market capitalisation plummets by N105 billion. 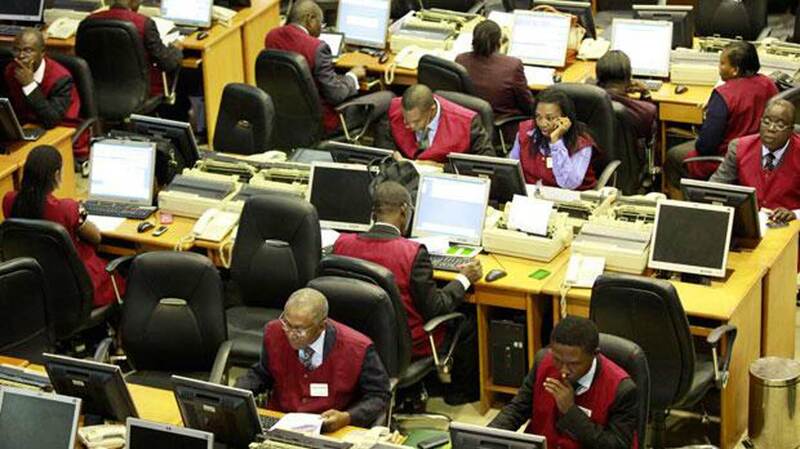 Specifically, at the close of transactions yesterday, the all-share index, which measures the performance of quoted companies depreciated by 11.35 points or 0.3 per cent to 43,056.51 from 43,167.86 recorded on Friday. Similarly, market capitalisation of listed equities dropped by N105 billion from N15.507 trillion to N15. 402 trillion. On the price movement chart, 34 stocks depreciated in price as Unilever topped the losers’ chart with 1.40 kobo to close at N60.00 per share. Nestle followed with 1.00 kobo to close at N1380 per share. National Salt Company of Nigeria lost 0.90 kobo to close at N23.00 per share. Cadbury declined by 0.80 kobo to close at N17.60 per share. United Bank for Africa also depreciated by 0.60 kobo to close at N12.30 per share. On the other hand, 19 stocks constituted the gainers chart, led by Total oil with 4.10 kobo to close at N246.10 per share while Dangote Sugar followed with 0.85 kobo to close at N23.35 per share. Nigerian Breweries appreciated by 0.50 kobo to close at N130.00 per share. UACN gained 0.45 kobo to close at N17.95 per share. Ecobank Transnational incorporated added 0.20 kobo to close at N20.00 per share. FBN Holdings was investors’ delight with 425 million shares worth N5 billion while Zenith Bank followed with 78 million units worth N2 billion. Japaul oil accounted for 64 million shares worth N64 million. REGALINS traded 24 million shares worth N7.7 billion. On the whole, investors exchanged 831 million shares worth N10 billion in 5,651 deals.